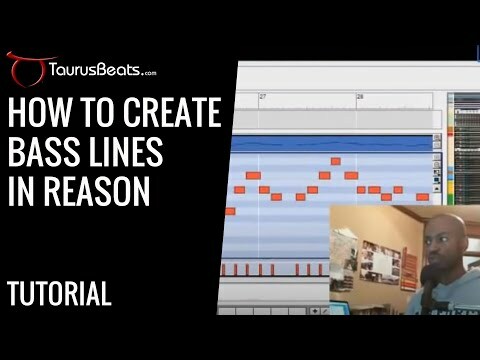 Make Beats with Reason: Tune Your Bass Line With A Piano! In this video, I show how I check bass lines I originally create in the Subtractor device, using a piano in the NNXT device. This allows me to hear the actual notes I played in a clearer fashion and make necessary corrections. I made this video showing an example of how I use the piano to check my bass lines. I use this same technique with samples when I do sample flip beats. Even though I'm using Reason, this technique can be used in any DAW. This post is about reason beat making, sample flip beat, beat making video, flip this sample, beat making tips, propellerhead, reason, sample flip, sample beat, beatmaking video, instrumental music, sampled beat, reason beatmaking, hip hop, moody instrumental music, flip this. Keywords: reason beat making, sample flip beat, beat making video, flip this sample, beat making tips, propellerhead, reason, sample flip, sample beat, beatmaking video, instrumental music, sampled beat, reason beatmaking, hip hop, moody instrumental music, flip this.